Pai Gow Poker is a casino table game and is played with a standard 52-card deck plus one joker. The rules are fairly simple. 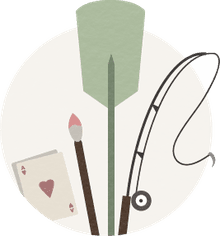 After making a bet, each player is dealt seven cards and must make two poker hands: A standard five-card poker hand and a two-card poker hand. The five-card hand is often called "behind", or the "bottom," "high," or "big" hand, while the two-card hand is called "in front", "on top", or the "small," "minor," or "low" hand. When forming your two hands from your seven cards, the five card hand must be higher than the two-card hand. In other words, if you are dealt A-A-3-5-7-10-J and you can‘t make a flush, you must include the pair of aces in the five-card poker hand, not the two-card poker hand. Five-card hands follow the standard what-beats-what rules, with two exceptions: some casinos count A-2-3-4-5 as the second-highest straight. This is the case in some places in Nevada. Additionally, having a joker in the deck introduces the possibility of five of a kind which beats a straight flush. The best two-card hands are pairs and then simply high cards. Straights and flushes don’t matter in the two-card hand. The worst possible 2-card hand is 2-3, while the best is a pair of aces. Instead of acting as a whatever-card-you-want wild card, the joker in Pai Gow is called a "bug." It acts as an ace unless it can be used to fill out a straight or a flush. This also means that you can have five aces, which is the best possible five-card hand in Pai Gow. 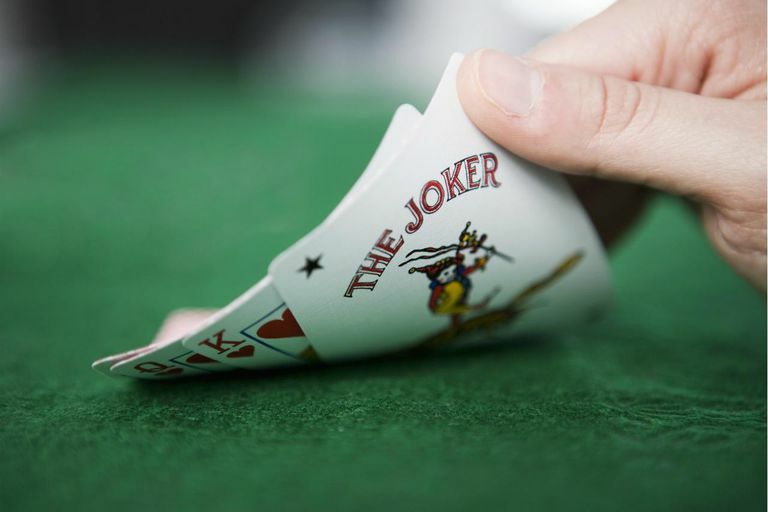 Once players have set their two poker hands, they place their hands in front of them, the two-card hand in front, and the five-card in the back (hence those nicknames). All the players at the table are playing to win both hands against the "banker." The banker can be the dealer, or one of the players at the table, like in Baccarat.